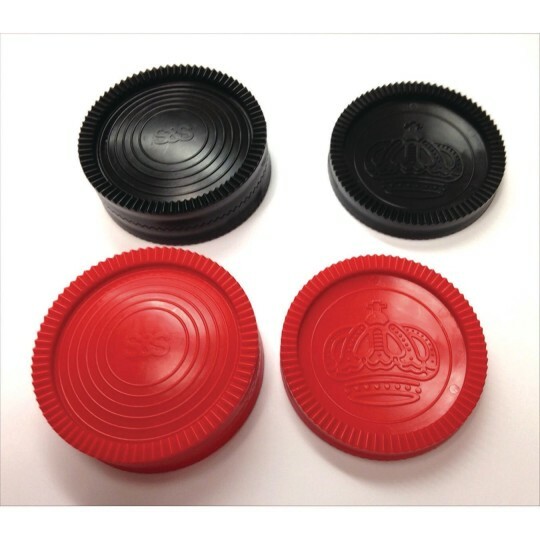 Set of 6, 3 red and 3 black, Giant checker style pieces to use in Giant Four in a Row or Giant Checkers game. Each piece is about 2.7”- diameter. Fluted edges allow for stacking. 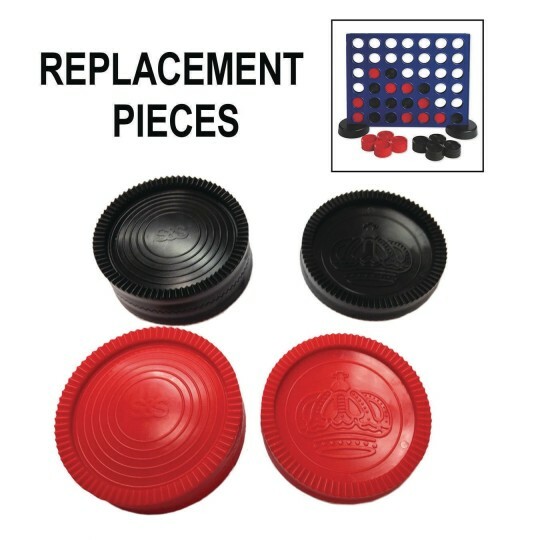 These pieces work for both W11914 Giant Four in a Row game and W12919 Giant 2-1 Four in a Row and Checkers Game.